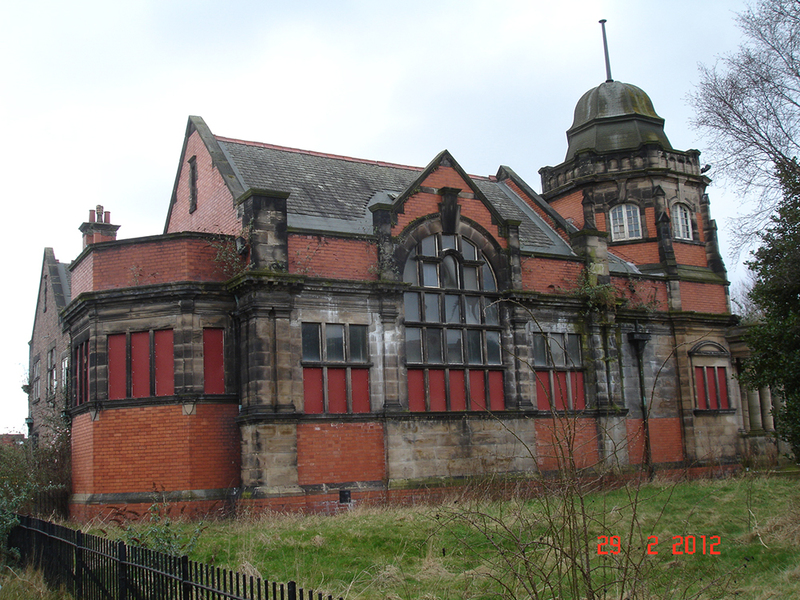 Lister Steps, a childcare charity in Liverpool, have secured initial support from the Heritage Lottery Fund to regenerate the Grade II listed former West Derby Carnegie Library on Lister Drive in Tuebrook, Liverpool. The West Derby Carnegie Library, known locally as Lister Drive Library, was established with funding from an Andrew Carnegie grant, and opened in 1905. The library is a one-storey brick built structure with stone dressings, a slate roof and an octagonal turret. It was designed by Liverpool Corporation architect Thomas Shelmerdine who was responsible for a number of Liverpool’s libraries. The library originally contained a lending library and a number of reading rooms. Sadly, following health and safety concerns, the library closed in 2006 and has remained vacant since. This period of un-occupation has resulted in the library being subject to theft, vandalism and neglect. Items stolen from the library include lead flashings, the glazing to roof lights and feature ridge tiles. There has been substantial rainwater ingress which has severely damaged the timber structure and internal decorative plasterwork and joinery and dry rot is common throughout the building. The ‘Lister Steps Carnegie Community Hub’ project, funded by the Heritage Lottery Fund, is currently in its development stage, however once completed Lister Steps aim to relocate their existing childcare services into the building. The regenerated building will also serve as a centre for community engagement, a ‘hub’ offering refreshments, activities and training opportunities for the local community and visitors. The project will shortly begin a period of consultation with stakeholders and members of the community. The project aims to host a number of heritage activities in the near future such as tours of the library and grounds, an oral history project, building recording activities and training opportunities. We welcome comments, suggestions and advice from Heritage Daily subscribers via our online survey: https://www.surveymonkey.com/s/NPBB39Z and we are keen to hear from subscribers willing to share best practice ideas and suggestions for match funding.